For my niece’s sixth birthday, I decided to buy her a pair of kids’ Converse on Zappos. I’ve been window shopping for her on Zappos for months, and today I was greeted by kids-focused shopping recommendations! Not only did I buy the Converse sneakers I originally sought out, but also the denim shorts that Zappos recommended. Honestly, I would have bought the Converse sneakers anyway. 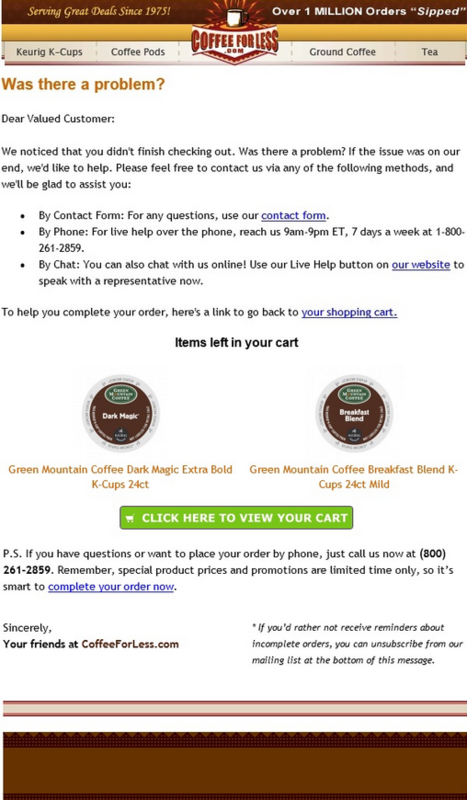 But my order doubled thanks to successful personalization. Why is this story relevant to a UX Designer who may or may not be into mini Converse shoes? Because, let me repeat this, my order doubled thanks to the website’s personalization and if more orders double, we are talking about serious profits and seriously happy clients! I win. My niece wins. 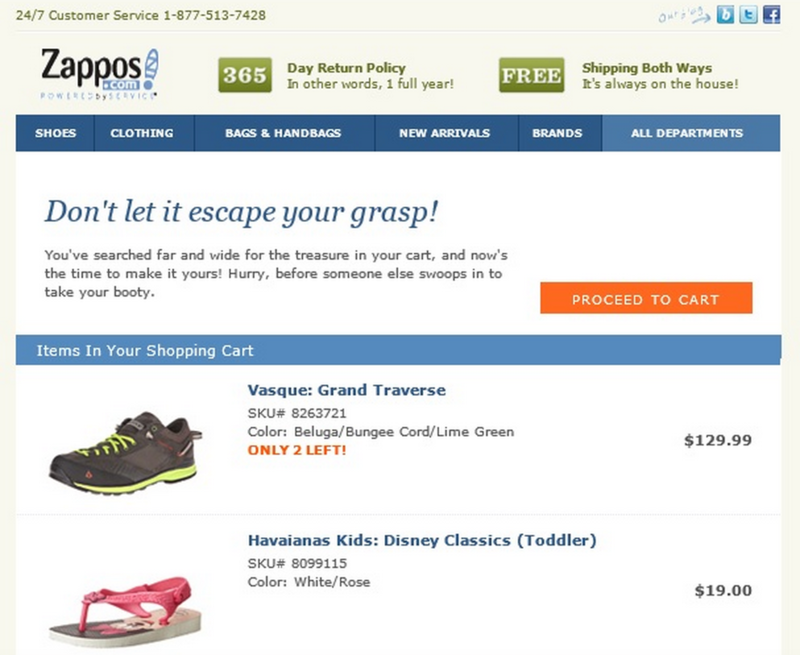 Zappos wins. And Zappo’s UX team wins. My personal story would be irrelevant if I were alone; but as it turns out, according the Aberdeen Group, I am just one of the 75% of consumers who prefer when brands personalize messages and offers. In another study, Janrain & Harris Interactive found that over 70% of online consumers get frustrated with websites when content—be it an offer, ad, or promotion—appears that has nothing to do with their interests. In other words, whether we’re looking for kids’ shoes or computer hardware, personalization is what customers want. 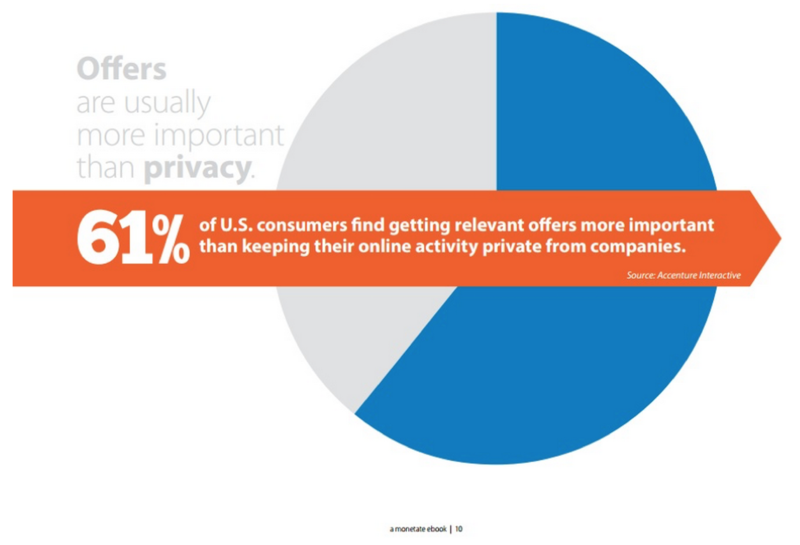 In fact, even in our increasingly privacy-conscious world, according to Monetate and Accenture Interactive, 61% of U.S. consumers think it’s more important to receive relevant offers from companies than to keep their online activity private. Over 50% will share their private data if it will expedite or improve their shopping experience. So, 75% of consumers like personalization and 61% think personalization is more important than privacy. Add that to the fact that according to Hubspot, 69% of those surveyed say dynamic, personalized content is important for their website. The obvious examples for personalized content are Amazon and Netflix, the latter of whom attributed personalization to their success, calling it “mission critical.” Both Amazon and Netflix leverage the UX engine to control UI behavior across all screens. In this article we’ll take a look at three steps to personalize websites in ways that use data to increase conversions and improve UX. Volumes can be (and have been!) written about how to segment website visitors. While some websites can segment based on the type of shoes visitors previously searched, other websites may segment based on the visitors’ geolocation, time zone, IP, traffic source or channel, or behavior. Segments differ based on an organization’s target personas and business model. Perhaps a clothing retailer will display personalized content based on location, showing rain coats to visitors from Seattle and bathing suits to those from Honolulu, where another site may use historical behavior, in the same way Zappos knew to show me kids’ shoes and fashion as opposed to men’s clothing. Once segments are solidified, do not stop there. Try combining other elements. Perhaps Zappos combined my past behavior of checking out kids shoes with the season in my geolocation to select the denim shorts they presented. I might have been shown kids’ coats if I were searching from Portland in November. Once visitors have been segmented, the truly interesting work begins. By identifying customer journeys and then customizing the online customer experience for each segment, we are truly able to affect change. Marketers love using customer journeys in order to serve different ads to different visitors. Similarly, user experience practitioners can use the customer journey to personalize the experience to a specific journey. To identify a customer journey, consider the customer’s end goal and then make a note of every step the customer needs to take to complete that journey. My journey with Zappos began with the goal of buying a birthday present for my niece, and I followed 11 steps to move through my journey. 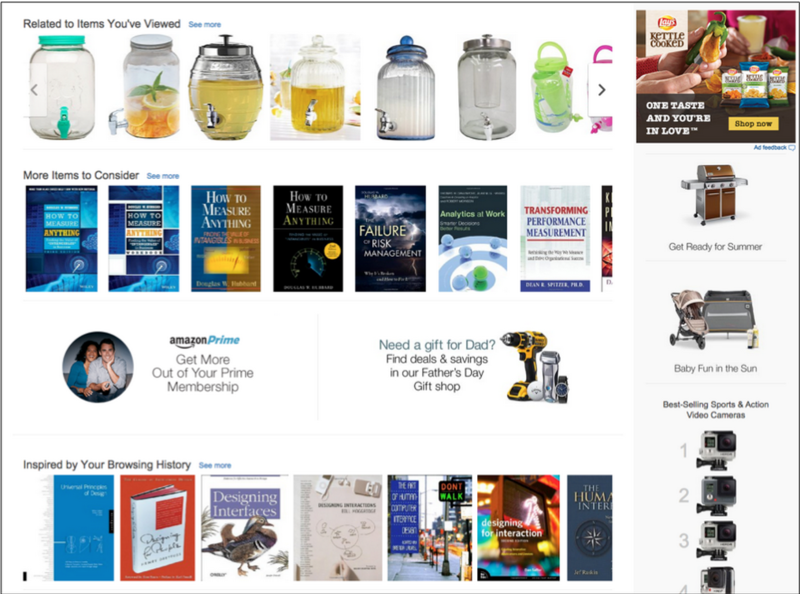 Step 2: I saw Zappos at the top of my search results. 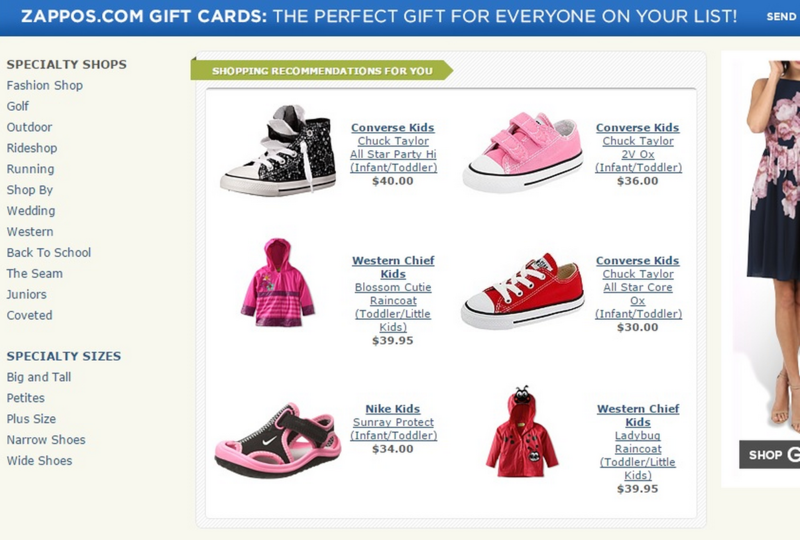 Step 3: I clicked on the Zappos link, and was taken to a page of Zappos kids’ shoes. Step 4: I clicked on several pairs of shoes. Step 5: I closed my computer to go have lunch. Step 6: Later I returned to the Zappos site. Step 7: I was shown shopping recommendations, including the shoes I had previously researched, and the adorable denim shorts. Step 8: I added both to my shopping cart. Step 9: I logged into my Zappos account. Step 10: I entered my payment information. Step 11: I received a confirmation screen and confirmation email. Other users might have end goals of finding shoes for a camping trip, or picking out back-to-school accessories. Each journey has choices along the way, and unique “touch points” where UX designers can adapt content to the specific user segment on their specific journey. For example, if one segment includes online visitors who have placed items in their cart but abandoned the cart without making a purchase, a touch point would be their return to the site, and we might personalize their return with a “shopping cart reminder,” showcasing what they have saved to buy later. If another segment includes research behavior—visitors reading about product specs and combing through data, but never purchasing—we might take advantage of a customer touch point to offer easy access to customer reviews, with no purchasing pressure. Ultimately, the user will feel more engaged with the company that provides the detailed information they wanted as opposed to a company that pressures them to get to the shopping cart. Once we’ve mapped out each user segment’s journey, it’s time to customize those touch points. Some touch points are obvious from online behavior analytics tools, such as ClickTale. We can see actions—or lack of actions—such as visitors who hover over CTA buttons, unsure of how to proceed. For such visitors, personalization with positive reinforcement and clear messages will foster user engagement. As you can see, Zappos does a great job of adding encouraging wording when they refer to my abandoned cart as a “treasure” and urge me not to let it “escape my grasp.” They also add an element of urgency by listing that only 2 pairs of my desired shoes remain. CoffeeForLess.com turned a possible loss (I didn’t finish checking out) into a win. They can get customer feedback by reaching out to me directly, and take advantage of the opportunity to remind me they exist, in case I simply forgot to complete my purchase. Lastly, every piece of the personalization puzzle must be tested. User experience practitioners know that what works in one situation may not work in another. To check our user segment assumptions, we can bring in participants from each user segment, and have them test the effect of each personalization element across their journey. For example, if adding the positive reinforcement proves effective for uncertain byers, we might optimize the process by adding access to positive reviews for the products they are interested in. Most importantly, we need to continually test, so that we can continue to learn and optimize. Statistics, and my personal experience, show that personalization works. And yet, many UX’ers neglect to personalize experiences beyond greeting customers by name and targeting ads. Give personalization a try and track the effect it has on conversions. Segment visitors on the factors that matter most to your target audience, based on target personas and business model. Factors may be based on demographics, online behavior or traffic source information. Consider the customer journey. For example, cart abandoners may need extra urging through positive reinforcement, and researchers may need extra data. Take a holistic approach to personalize the entire customer experience. It is not just about greeting customers by name. Create an entirely different experience to serve customers in the ways they need to be served based on their behavior and profile. Test every personalization factor, keep the effective ones, add new ideas and then test again! Learn more about segmentation according to different behavior types and how to optimize websites accordingly.